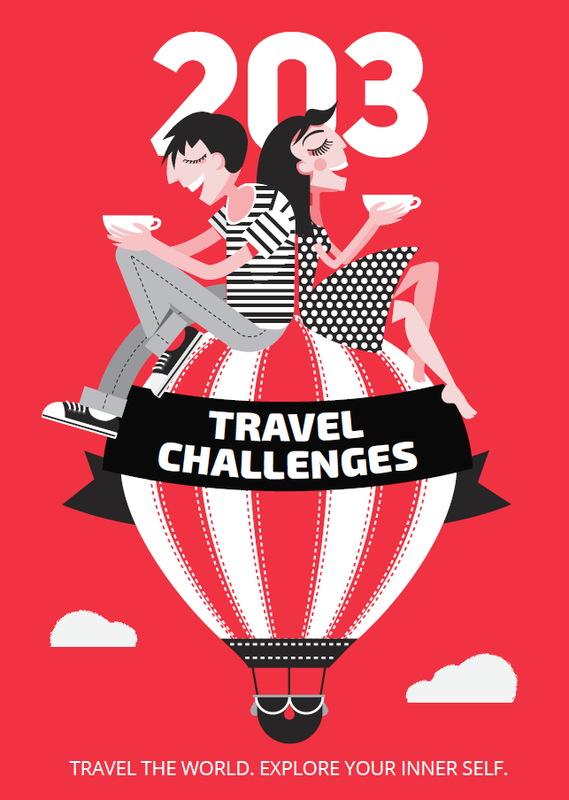 The challenge: spend a whole day practicing the Italian concept of dolce far niente! 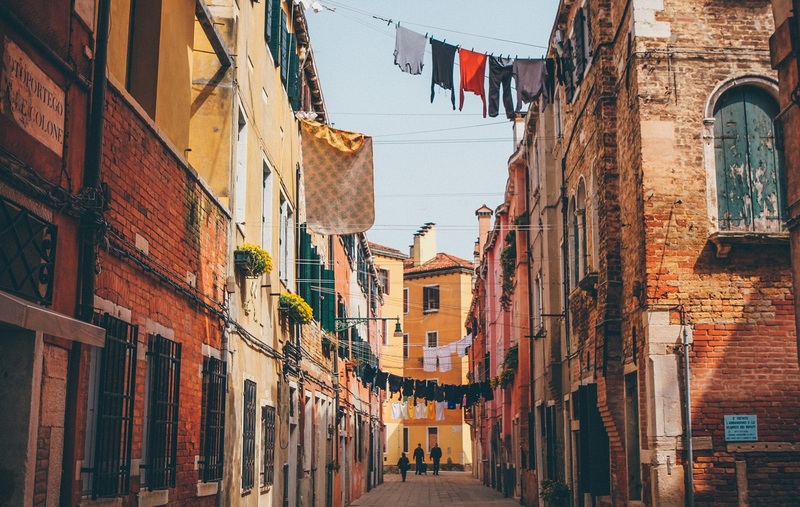 When I first arrived in Italy more than 10 years ago, the first two expressions my Italian friends taught me were piano, piano (‘little by little’) and dolce far niente (literally ‘sweet doing nothing’). But the latter phrase made famous by the Eat, Pray, Love book and movie franchise means so much more than its literal translation, that you can practically call it an untranslatable phrase. 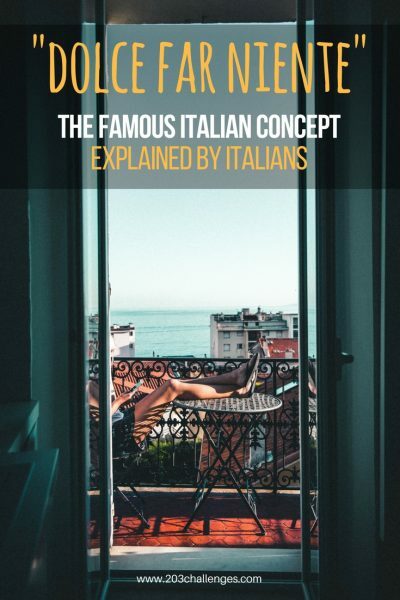 Here’s what a few Italians shared about the saying’s deeper significance, as well as some advice about how exactly you can steal this beautiful concept and incorporate it into your life. Dolce far niente… dolce = sweet || far(e) = do || niente = nothing > literally: the essence of doing nothing and enjoying it. Nothingness is that pleasant experience of enjoying time going by, letting your thoughts taking over… I guess it’s very much in our mentality as Italians. We are lucky enough to have the beauty of amazing landscapes, from the coasts and seasides to the highest mountains. That is where dolce far niente is at its best, where all that matters is living the moment. No stress, no pressure, nothing matters; just live in the moment, a ‘doing nothing’ moment. Dolce far niente is a way of life. We, the Italians, live to celebrate with good wine and a plate of pasta, no matter whether it is a normal everyday lunch or the most important holiday in the country. Dolce far niente is a way of thinking always fixed to the moment, in which we can finally ‘do nothing’ and enjoy it. 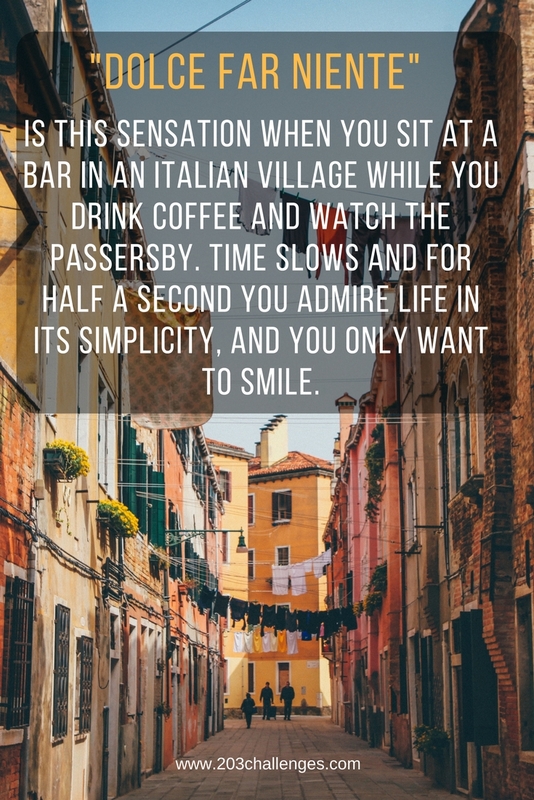 Dolce far niente is this sensation when you sit at a bar in an Italian village while you drink coffee and watch the passersby. Time slows and for half a second you admire life in its simplicity, and you only want to smile. A memory comes to mind when you mention il dolce far niente. When I was a child, my parents used to send me to stay with my grandmother while they were at work. She was a warm and caring woman who spent all day doing housework and taking care of her grandkids. Sometimes I saw her putting a chair outside, on her front doorstep, and sitting down for a while just watching the street, greeting neighbors and waiting for the sunset. If I asked her: “Nonna, che fai qui?” (“Grandma, what are you doing here?”), she always answered “niente” (nothing). This is hard to explain. Literally, Dolce far niente is doing anything without getting bored. It’s a particular kind of ‘me time’ when you don’t do anything in particular: no massage, no reading, no sleep – just observing the buzz of life around you and recharging your batteries. It sounds like idleness, but it’s actually something different. It’s more like a break from the rat race. It’s a moment to reorganize your energy. It’s a way to unwind and to put some distance between you and your life and, magically, to see it better as a whole. Thanks Maria for sharing this. It isn’t easy to explain what “dolce far niente” means for Italians: sharing experiences is always the best way!